The Great Race » The 2015 VCRA Race for Autism is on the Road! The 2015 VCRA Race for Autism is on the Road! As of today Great Race Teams have already received over 100 donations totaling over $12,000 towards our goal of $66,000 for the VCRA Race for Autism  the official Charity of the Great Race. The VCRA Race for Autism a Great Race tradition of Fighting Autism One Mile at a Time is in first gear. 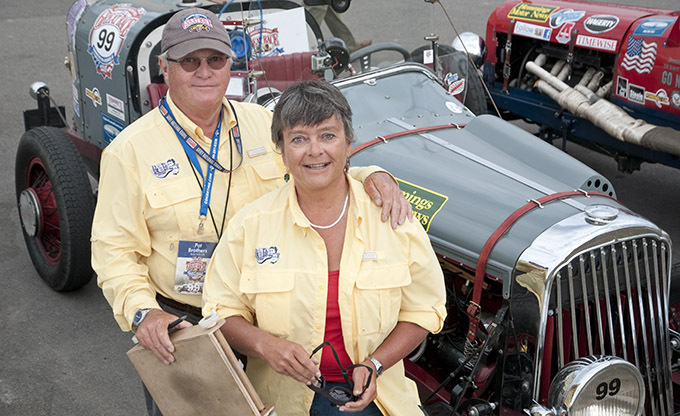 Great Racers are asking their friends, family and co-workers to donate money to the Vintage Car Rally Association  a federal nonprofit that over the past 10 years has given over $550,000 to Autism Centers and Programs across America. There is still plenty of time to join other Racers in this fun Great Race philanthropic tradition. If you have any questions about the VCRA Race for Autism contact Pat Brothers (GR #99  1931 Buick Racer) at [email protected] or 503-313-1956. When the old Great Race ended in 2007, 2-time Grand Champion Rex Gardner stepped up to create events so we Rallyers could continue with our sport. Rex also added a special philanthropic component  the VCRA Race for Autism. Veteran Great Racers all know Rexs grandson, Justyce, who leads us in the Pledge of Allegiance at the mandatory meeting. Justyce is Autistic. While the VCRA creates rallies for our enjoyment, they serve a higher purpose to raise money to meet the needs of programs serving those suffering from Autism. Check out the list of Teams and make your Tax Deductible Donation to your Favorite Team and/or Favorite Car! Every dollar will make a difference to the kids and their families dealing with Autism.